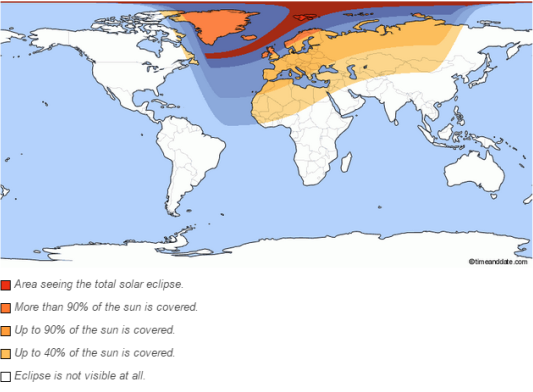 There will be a total solar eclipse on March 20, 2015 which tracks across the North Atlantic and eventually covers a lot of the Arctic. It would seem that this will affect most spacecraft that are in a polar orbit to some extent as, at that sort of time, they would expect to be in sunlight at the time and location. On FUNcube-1 (AO-73) we have a good power budget which means that we should be able to maintain our normal autonomous operation schedule for the day but, of course, if the spacecraft does go fully into darkness it should switch autonomously to transponder and low power telemetry. It will be interesting to see what actually happens and we hope that as many listeners as possible will upload the data they receive between 0740 and 1150 UT on that morning. Our Whole Orbit Data will show the solar currents, battery voltage and external temps clearly during this period so we should get a clear understanding of the effects on board. 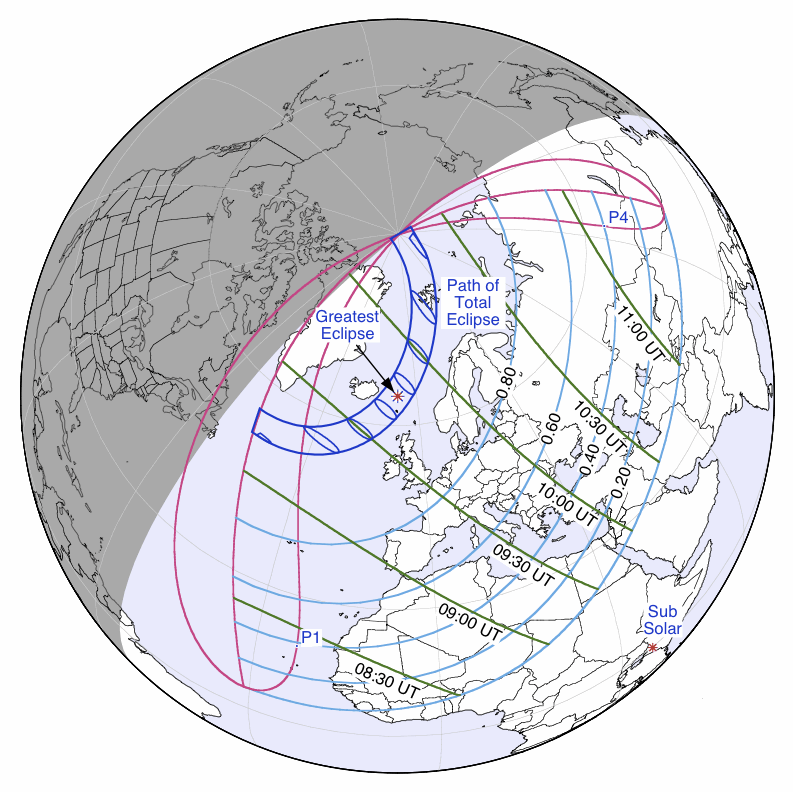 If anyone has some software that can model the satellite’s track and the expected impact of the solar eclipse it would be great to hear about it!